Known for its wild natural beauty and quiet tranquility, Kauai is the best of all the Hawaiian islands if you’re looking to get away from it all. From the must-see Na Pali sea cliffs, to the earthy and expansive Waimea Canyon, the garden isle of Kauai has the most incredible vistas. Here you’ll find over 40 pristine white sand beaches stretching for a total of over 50 miles–more beach per mile than any other. If you’re planning your trip to Kauai, don’t miss these top 10 things to do in Kauai. 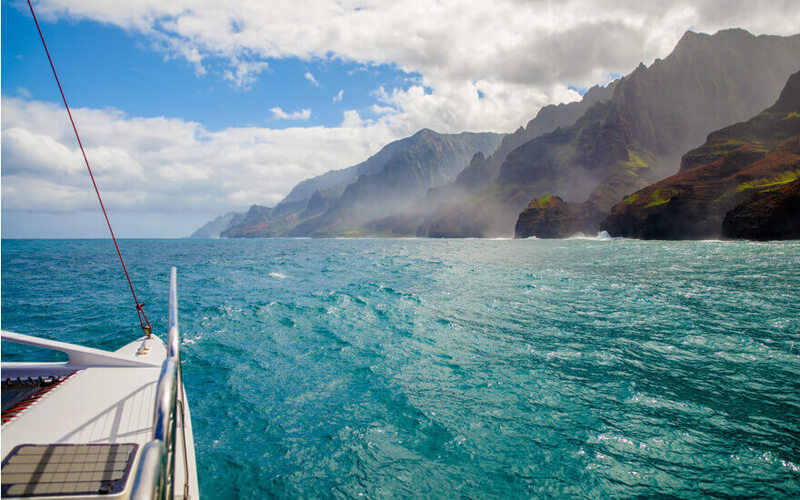 Whether you choose to go by sea or by air, seeing the Na Pali Coast is a must-do on Kauai. Known for its astonishing lookouts, cascading waterfalls, and secluded sea caves, this range of incredible sea cliffs will take your breath away. One of the best ways to enjoy Na Pali is by boat where you can take in the cliffs from below. Makana Charters offers coastal cruises throughout the year which include snorkeling, lunch, and drinks. You’ll even get a chance to see whales during the winter months. Be sure to book up early, however, as this one sells out quickly. 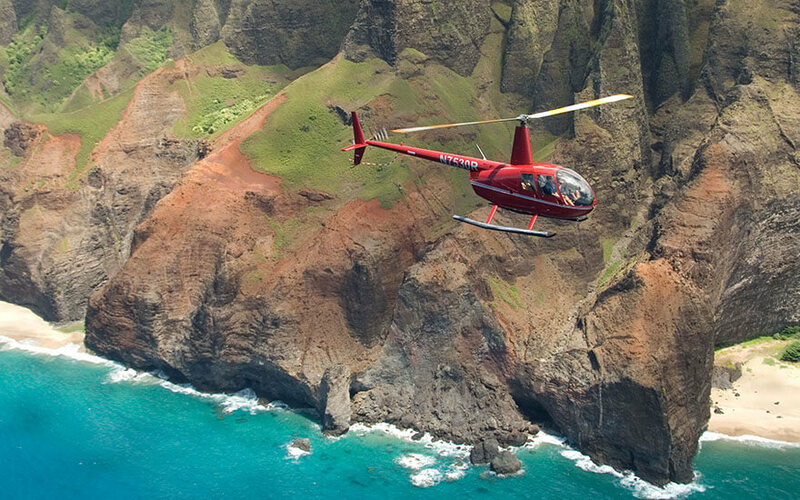 Catch breathtaking bird’s eye views on a Kauai helicopter tour. To this day, there are parts of Kauai that are only accessible by sea and air—and certainly some natural wonders that are at their most astonishing when viewed from above—making a helicopter tour the best way to see all Kauai has to offer. From the Waimea Canyon to the Manawaiopuna “Jurassic” Falls, sweeping shorelines to rolling mountain ranges, you won’t be disappointed. The best thing about this tour is it’s completely private so you won’t get stuck in a middle seat. Doors on or off, it’s up to you! 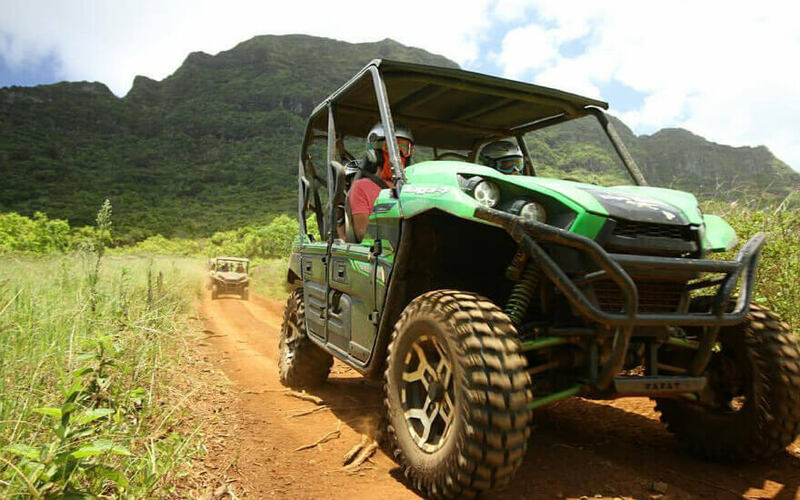 Kauai is known for its awesome ATV tours and is it any wonder why? With so much rugged beauty, sometimes you need to get a little rugged yourself to access it. Kipu Ranch is one of the best-preserved examples of Kauai’s natural contours and agricultural past. This active livestock ranch once belonged to the Hawaiian monarchy and is now private property accessible only by Kipu Ranch Adventures’s ATV Tours. Explore the ranch’s lush green pastures, venture down into the Huleia Valley, and ascend Ha’upu Mountain for a much-sought-after view of Kipu Kai, one of Kauai’s most isolated beaches. No other island can compete with Kauai’s untouched beauty—and one of the best ways to see it for yourself is by zipline. 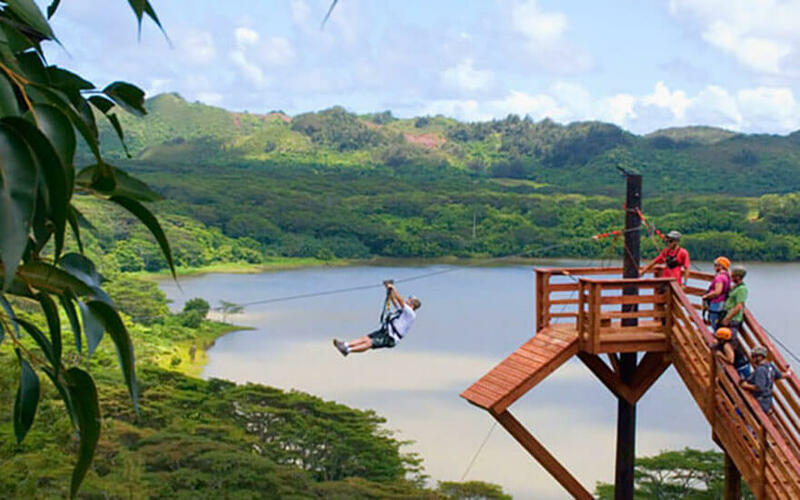 Check out Koloa Zipline, boasting the longest zipline on the whole island, where you can fly over miles of rich wild forest and glistening water. You’ll get to explore the hidden trails of Mount Makaleha and cool off at a waterfall. For the history lovers out there, this zipline park is housed on what used to be Kauai’s first sugar plantation. 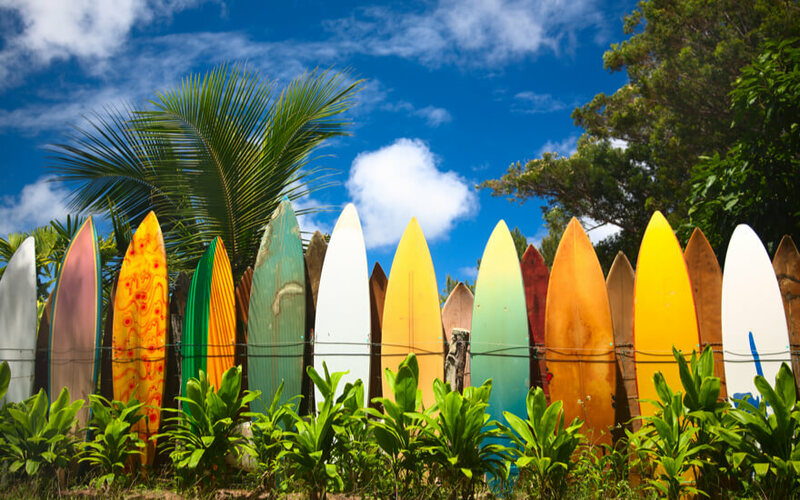 While the island is best known for its hikes, one of the most popular things to do on Kauai is surfing. 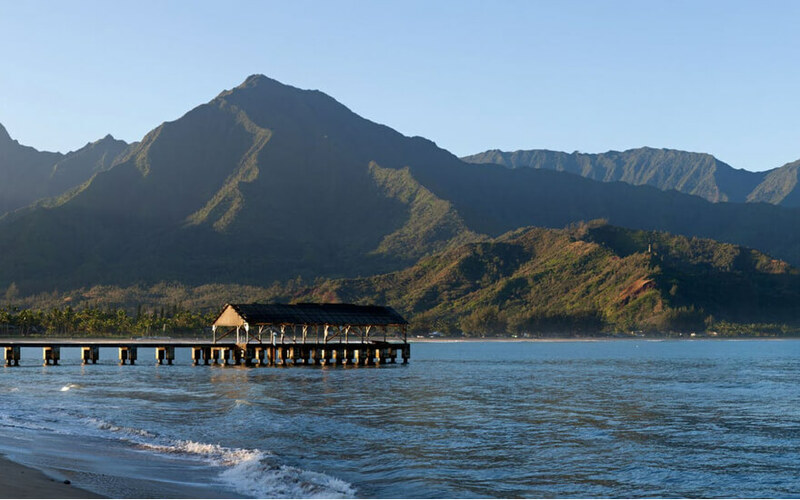 Hanalei Beach in the north is popular during the summer months but during the winters it can be too rough for beginners—that’s when Poipu Beach in the south is the place to be. This surf school teaches lessons year-round in a secluded bay adjacent to the beach, meaning you’ll get more personalized attention and fewer crowds than with the other south shore schools. For those who like to take things at a slower pace, check out horseback riding on Kauai’s north shore. 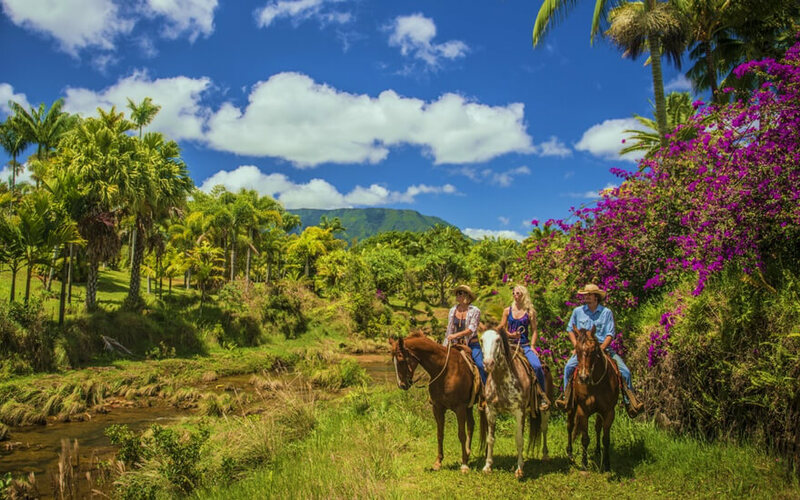 Silver Falls Ranch offers a variety of tropical trail rides, including their discovery ride which takes you into the isolated interior of Kamookoa Ridge where you can see the Makaleha Mountain Range up close. Traverse its lush inland valley, ridged with natural waterways and packed with tropical blossoms astride your trusty steed. 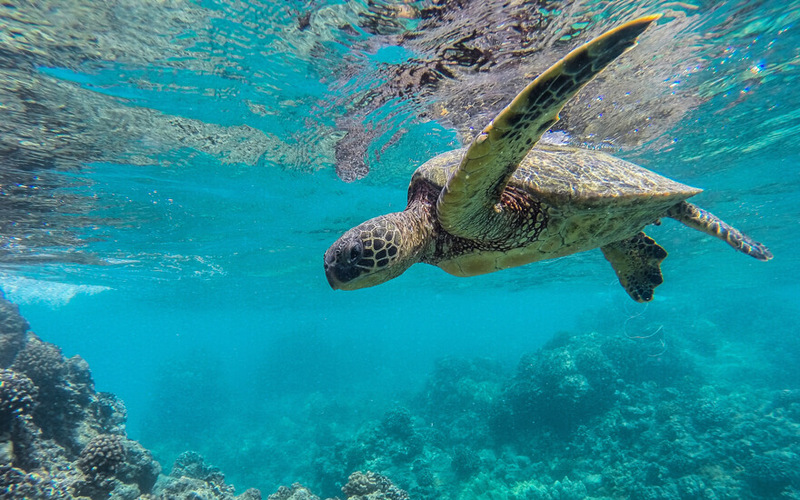 Get out on the water with a snorkeling tour of Kauai’s south shore. Known for its excellent snorkeling year-round, the south shore is home to Hawaiian green sea turtles, playful spinner dolphins, and exotic reef fish and eels. This snorkel adventure company has scoped out the two best remote snorkeling destinations, including the Sherton Caverns, and will take you to both with stops along the way to see the Queen’s Summer Home, the famous Sprouting Horn, and the mythic Kipu Kai Beach. 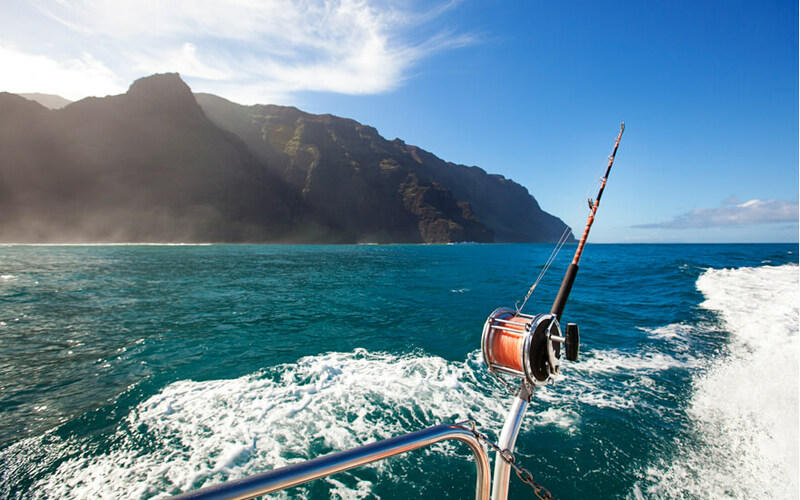 The waters around Kauai are known as among the best fishing grounds the world over. From Blue and Stripe Marlin to Mahi Mahi, any catch out here could be a trophy catch. Check out Ohana Fishing Charters where their promise is to treat you like family. They’ll take you out to the best fishing spots and share with you coveted local fishing techniques. Choose from 4-, 6-, and 8-hour charters and select from either a shared or private experience to suit your budget! 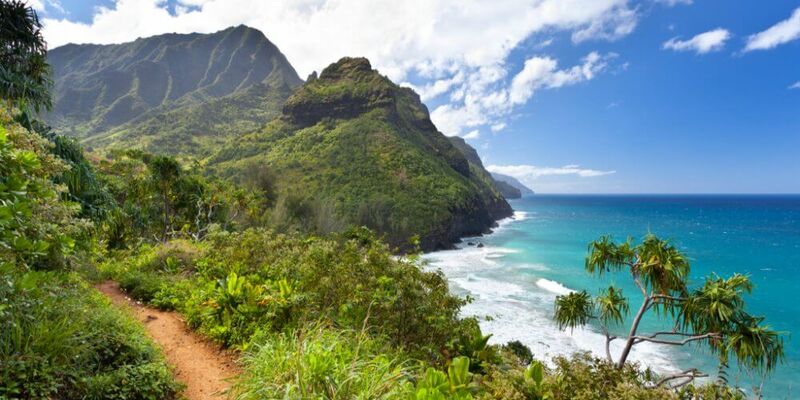 Kauai is a hiker’s paradise. 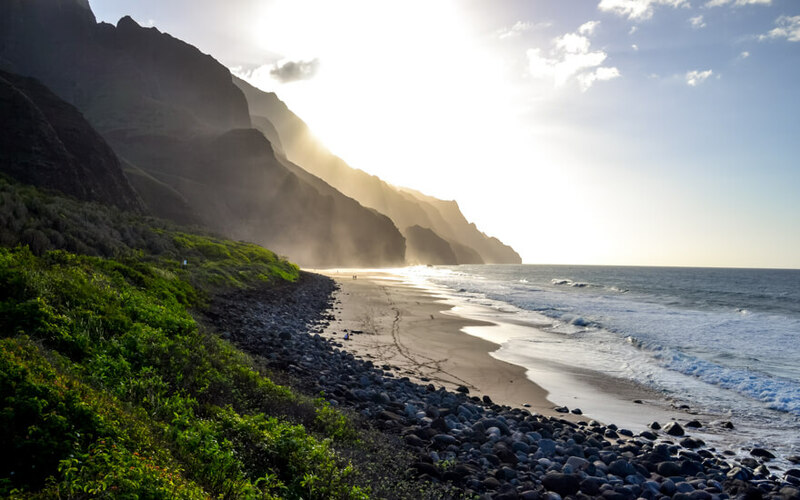 From the Sleeping Giant Hike in Cenrtral Kauai to the lush jungled landscape of the Kuilau Ridge Trail and the breathtaking views from the trail along the Na Pali Coast, you’ll be spoiled for options. If you’re a new hiker and not sure where to start, the Hanakapiai Trail is popular and accessible for beginners. But most visitors choose to book a hike with a guide so they can more fully appreciate their surroundings during the experience. Check out Kauai Hiking Tours for guided hikes of Waimea Canyon & Koke’e State Park, Sleeping Giant, the Na Pali Coast, the Kuilau Ridge, and more. Thanks to the island’s other-worldly landscapes and out-of-the-way nature, Kauai is the backdrop for many Hollywood films. Films such as Jurassic Park, Blue Hawaii, The Descendants, and South Pacific have all been filmed here, as well as scenes from the popular TV show, Gilligan’s Island. This full-day tour will take you to sights such as Kapa’a Town, as seen in Jurassic Park; Hanalei Pier, as seen in South Pacific, and Wailua Falls, as seen in Tropic Thunder.